This is a Catholic fraternal organization that is comprised of men from the Catholic churches in Pelham. They are involved in promoting parish involvement and works of charity. 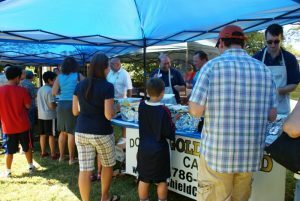 They coordinate the annual End of Summer Picnic for the Catholic Community of the Pelhams and have run pancake breakfasts to help fund the work of soup kitchens.